Hispanic demographics in major metropolitan areas are not one size fits all, and neglecting to dig deeper can make the difference between success and failure for a restaurant. The mix of Hispanic communities within a city can make a significant impact on the flavor preferences and frequency of visits from various members of this important demographic group. 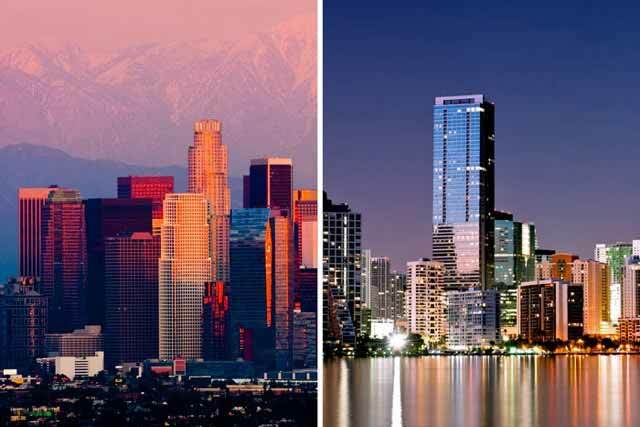 To illustrate the point, let’s take a look at two metropolitan areas on opposite sides of the Continental United States: Los Angeles and Miami. While the size of the Hispanic populations in these cities is significant—they make up 42% and 40% respectively—the mix of the Latino communities within the areas is very different. Given their geographic location, it should be no surprise that the majority of the Latino population in Los Angeles is of Mexican descent (80%) and in Miami, of Cuban descent (44%). The breakdown of ethnicities beyond those majority groups is not as clear, which can make a difference in the food preferences of the community in your market. Los Angeles has 725,000 Hispanics of Central American descent, a significant number in any city, and more than half of those are specifically from El Salvador. Pupusas, anyone? In comparison, other Hispanic communities in L.A., such as Caribbean and South American, are impactful in specific neighborhoods, but not as much when you consider the metropolitan area as a whole. The breakdown in Miami is more diverse. The Colombian community in Miami is quite large, which explains the ability to find a handful of Colombian restaurants in almost every neighborhood. Tres leches, a Nicaraguan dessert favorite, can be found in non- chain food establishments all over Miami, regardless of the ethnic profile of its menus. In the last few years, Peruvian restaurants have become so popular that a new one seems to pop up every weekend. Lastly, although the Mexican population in Miami makes up a respectable 6% of the population in the area, it is nowhere near as impactful as these other groups. Depending on the concept, it is not feasible to have a menu that will address all the needs for every Hispanic community within your metropolitan area. It is important, however, to take the time to understand the demographic breakdown of your concept’s pull area and ensure that your culinary development include flavors, influences and side dishes that appeal to a variety of these communities.